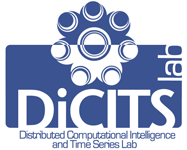 DiCITS is a laboratory focused on the research, development and application of parallel and distributed systems based on Computational Intelligence techniques. In particular, we work with models from Artificial Neural Networks, Fuzzy Systems, Evolutionary Computation and Statistical Learning Theory. Neural and neuro-fuzzy systems. Our lab has investigated in the bare foundations of Artificial Neural Networks and Neuro-Fuzzy systems, looking for results at the heart of their interpretability. We have made extensive exploration in the land of hybridisation of neural and fuzzy systems in the trek for equivalence results. These equivalences are bidirectional links which allow to transfer results and procedures from models in one field to the other. The straight consequences have yielded efficient methods for fuzzy rule extraction and simplification. Feature Selection. One of the most addressed problems is Classification problem, where a key step in the preprocessing stage is Feature Seletion. We have developed an extensive and rigorous empirical study of the proposed methods for feature selection in classification. The conclusions of the study entailed us to proposed improved new methods. Time Series. 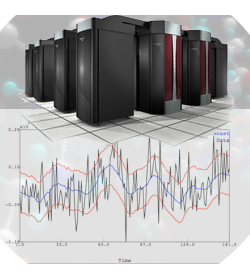 The same spirit in the trek for bidirectional links is exploited between Statistical and Computational Intelligence models to model time series. Our results entail to improve methods in both areas through the creation of new hybrid models which gather the best of both areas. Parallel and distributed systems. The size of the problems considered as well as the amount of data available increases at huge speed. To cope with this complexity a necessary way is to exploit the natural parallelism inherent in most models of Comptutational Intelligence as well as the increasing capabilities of commodity hardware. A key ingredient to draw the most out of these parallel and distributed system is their control and management through intelligent systems.